Place all ingredients in the food processor. Process until combined. 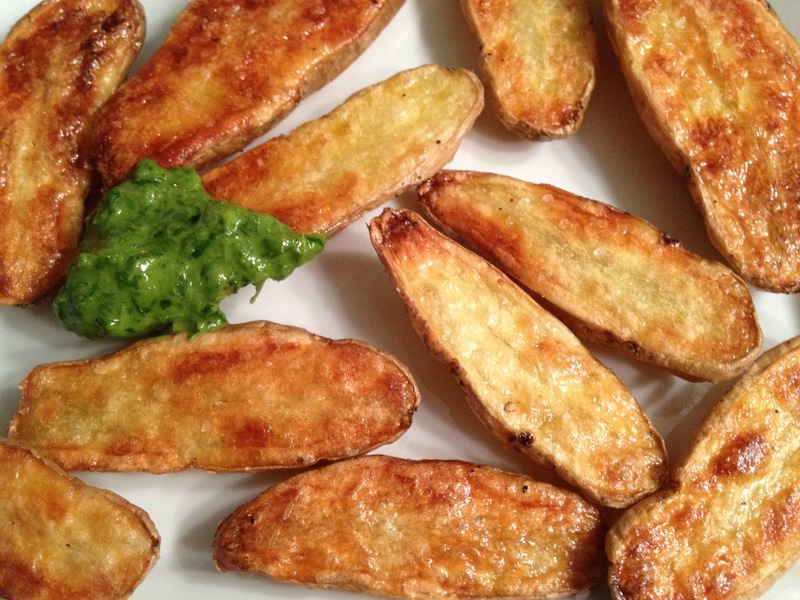 Cut the fingerling potatoes in half and toss with a drizzle of olive oil. Turn out onto a baking sheet, cut side down. Roast at 400 for 30 to 40 minutes (depending on your oven) until they are nice and browned. Dip the potato into the sauce. Enjoy!